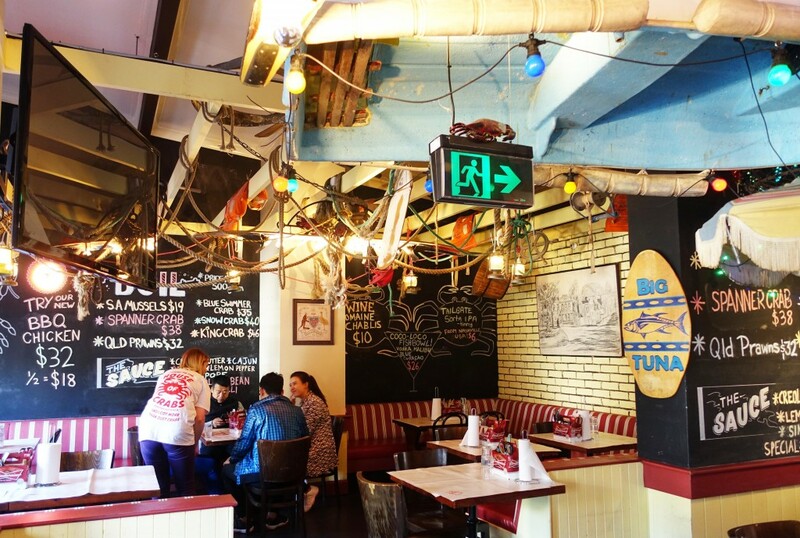 House of Crabs is a great little gem of a restaurant with a seaside theme which makes it a great fun venue for large groups. 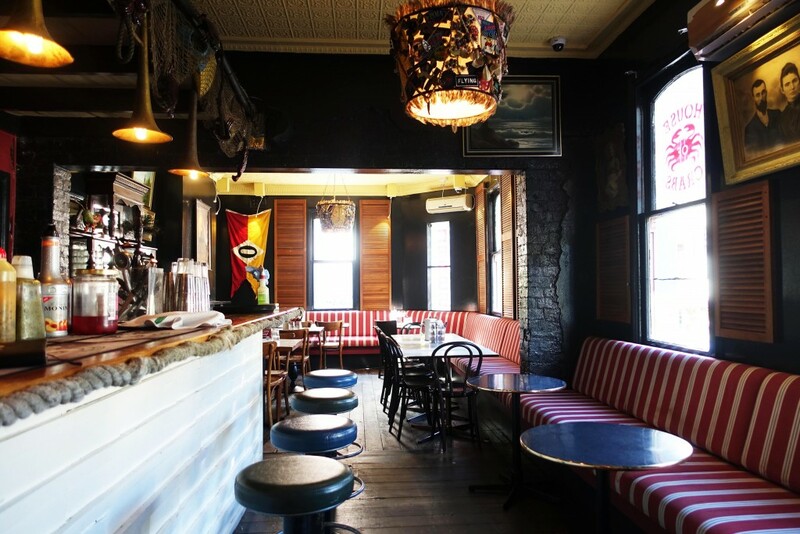 The restaurant sits on top of The Norfolk and is one of only two crab boil houses in Sydney serving up delicious seafood in a fun and welcoming atmosphere. 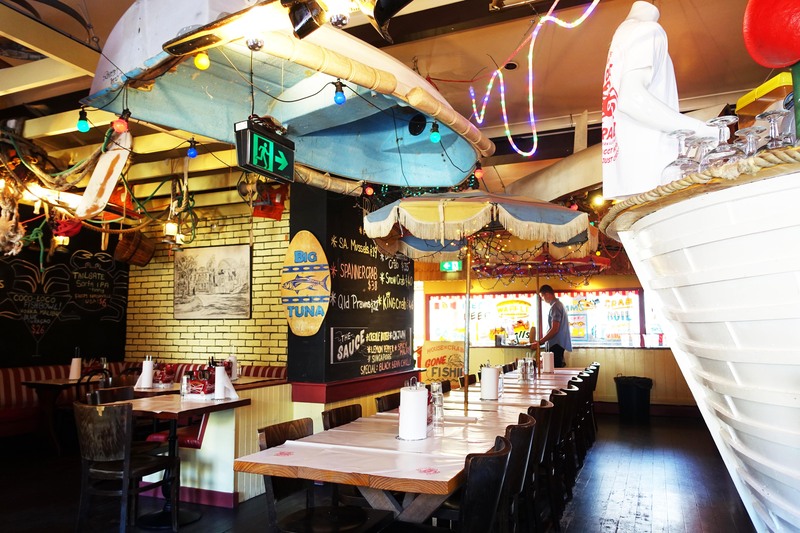 The main course of any meal at House of Crabs is definitely the crab boil. The way this works is quite simple, you order different types of crab in 500g batches and pick an accompanying sauce. 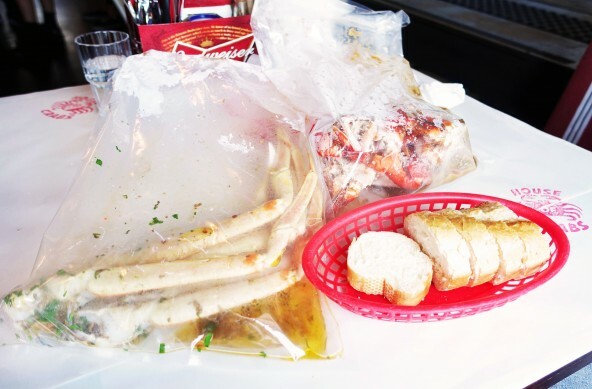 Once the crab arrives (in a plastic bag) it’s a chaotic but delicious feast of crab and seafood all over the table. 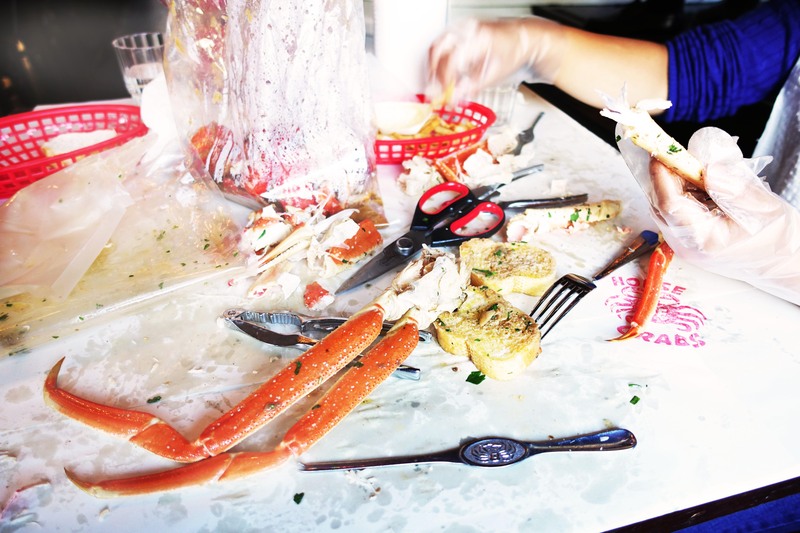 The snow crab and king crabs are the easiest to eat of the lot because the meat is located primarily in the legs and more chunky. 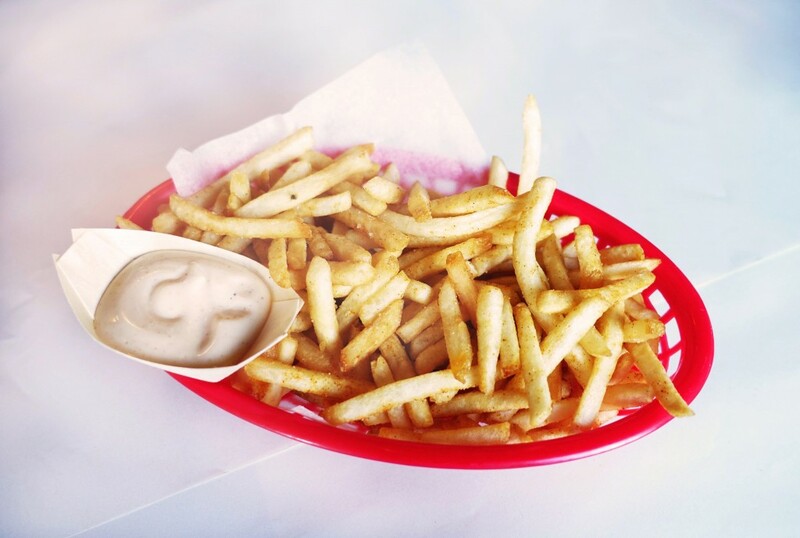 For those avoiding the crab or wanting to try something a little different there are also a bunch of main dishes and sides, we went with the shoe string fries and delicious cajun salt to accompany the crab. Overall I quite enjoyed House of Crabs, it’s a little bit of work for a meal because the crab requires some effort to pry open but it’s totally worth the effort. There’s just no meal like it elsewhere in Sydney and besides, who can say no to so much crab smothered in delicious sauces (my favourite was the creole butter!). mmm i love crab, you’re right- it’s totally worth the effort!